Where — or what — is heaven on Earth? This question was posed to the ranks of National Geographic photographers, and their answers are contained in the book Visions of Paradise. This collection of 155 images from 82 photographers takes us on an adventure through every corner of the world, on land, water, and air. The photos are accompanied by the photographers’ own recollections and thoughts, providing us with a unique and intimate view into the bit of paradise presented. And each chapter is prefaced with an in-depth discussion of various aspects of the environment and human impact. 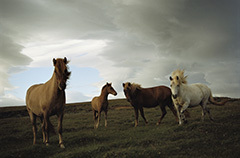 Visions of Paradise can be purchased directly from National Geographic or through Amazon.com. 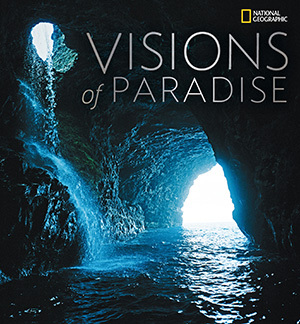 To celebrate the release of this book, National Geographic is hosting the Visions of Paradise Photography Contest. The general public is invited to submit images that best represent their unique vision of Heaven on Earth. 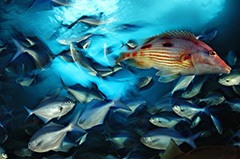 The contest runs from October 21, 2008 to December 21, 2008, and each week 20 editor’s picks will be selected from the qualified entries and posted on the site where viewers can vote for their favorites. At the end of the contest, an expert panel of photographers and art directors will select a final list of 20 official winners. Winners will receive a customized copy of Visions of Paradise with their winning photograph as the cover image. Visit the contest website for more information. Visions of Paradise is a collective publication from some of the most world renowned photographers of our time. 82 individuals attempt to present the audience with a vision of paradise based on their experience and travels. We are taken on a visual journey through places such as Canada’s Queen Charlotte Islands, the rain forests of Borneo, the Tallgrass Prarie National Preserve in Kansas, the ocean surrounding Hawaii, the city of Berlin, North Dakota, New York City, Syria, Darfur, Montana, and the list goes on. Each of the three chapters (land, water, and air) is introduced by a different noted writer. Linda Kulman speaks to the issues facing our land, how we’ve impacted it, and what we can do to ensure it stays healthy. Joel Bourne Jr. dives into a discussion on the state of our world’s water, and offers some hopeful solutions. And Brian Doyle extols the miracles of air in a lyrical salute. Each chapter is filled with brilliant and breathtaking imagery as large as life itself. Ranging from one to two page spreads, the photos contained in the book are easily appreciated and adored. Many people were involved in the creation of this book, so it’s difficult to say who is truly the author. Bronwen Latimer had the premise for the book, and initially posed the question “where is heaven on Earth?” As I mentioned, Linda Lulman, Joel Bourne Jr., and Brian Doyle present us with words for thought prior to each chapter, or theme. And the 82 photographers all have a hand in contributing to both the visual and written portions of the book. The end of the book also contains short photographer bios, which give you a glimpse of the talent and experience contained within the pages of the book. And in that list of photographers we can find Sam Abell, who also just released a book of his own titled The Life of a Photograph. This is really a wonderful book to read and enjoy. It tends to contain more text than most photo books you’ll encounter, but the extra insight and understanding is well worth it. At 304 pages, this book requires several nights of reading — though, my wife managed to read it in one day (but she also has the superhuman ability to finish long novels over a weekend). But for the rest of us with sub-superpowers, it’ll take a few more days of getting lost in the photos and digesting the text. I think the most enjoyable aspect of the book lies in its diversity of style. 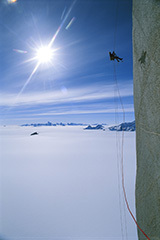 Photos from a single photographer are typically of similar artistic style and aesthetics. But in a book such as Visions of Paradise, the style is constantly fresh and changing. 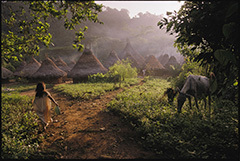 This entry was posted in Features, Reviews and tagged book, book review, national geographic, photography, photos, review, visions of paradise on October 21, 2008 by Brian Auer. Well… it would appear that way. This is why it’s always good to read the rules before submitting photos to contests. It’s too bad, because this type of “rule” is quite a turn-off for a lot of photographers. I had looked at this with National Geographic before, as I wanted to host a portfolio there and enter the Your Shot contest. The rules do give them perpetual, free use of your images – so I never submitted. Too many of these sites that run contests put these clauses in, and many unsuspecting photographers are caught out by it. Definitely a shame….